When asked about his opinion on the headscarf ban, Fassmann said: "Yes, I have a sympathy for the secular state and find that teachers should not wear a headscarf, except religious and private school teachers." The coalition government formed by Austrian People's Party (OVP) and the far-right Freedom Party (FPO) earlier this month, has an anti-Islam and anti-immigrant stance. 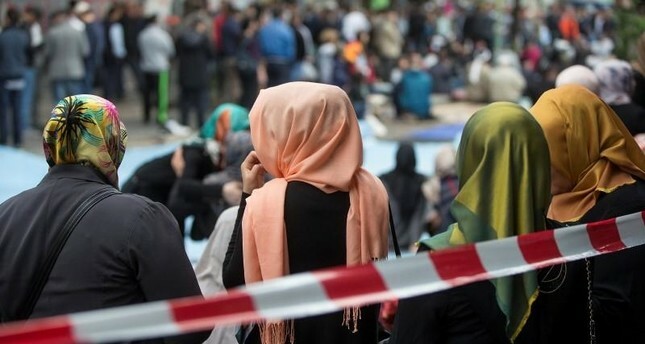 Reacting to the interview, President of Islamic Religious Authority in Austria (IGGO) Ibrahim Olgun told Anadolu Agency: "Headscarf is our red line." "For this reason, we will never allow such an attempt. We will do all we can to prevent the headscarf ban to commence, and we will take the issue to the constitutional court if necessary," he added. Olgun said that the community will meet the minister to speak on the issue and clearly express its reservations. "We think that behind the desire to ban the headscarf lies anti-Islamism," Olgun added. Islamic Federation of Vienna (IFW) General Secretary Harun Erciyas said: "Claiming that teachers with headscarves are contrary to the principle of impartiality actually means insulting their [the teachers'] education and labor. We certainly do not approve of this. "The Islamic Community, an official institution of the country, describes the headscarf as part of Islam. For this reason, if you remove the people with headscarves from the government, you also remove all the members of this religion from the public and, naturally, it will be discriminating." Fatih Karakoca, Austria president of the Union of European Turkish Democrats (UETD), said the minister's remarks were "unfortunate." He went on to say that while there are many problems to be resolved in Austria, the extreme right coalition is bent on creating division and tension in the society. "Those who want to hide behind secularism and bring a ban on teachers with headscarves today will spread this to all areas, including students, causing unrest in society tomorrow," Karakoca said.